2 What is needed to create a self-leveling floor? Bulk floor in the corridor is an excellent solution that can withstand the long and serious stress that the corridor often undergoes. It is this place in the apartment that gets under the increased impact of the feet in the shoes and without them, and for this reason the floor covering in the corridor must be taken care of conscientiously. Why exactly self-leveling floor corridor is the best option, how to do it yourself? High durability and reliability, excellent wear resistance and long service life. Easy to maintain and maintain - polymer floors do not attract dust, it is enough to sweep them. Attractive appearance and the ability to decorate the painting with picturesque drawings in 3D. Maintainability flooring - if necessary, you can pour a new layer above the old. Hypoallergenic, high environmental friendliness and safety of polymeric floor for adults and children. The ZD floor in the corridor, whose photo is amazing, will be an excellent decorative solution, to which guests of the house will pay attention to the very first. Unfortunately, self-leveling floors have drawbacks - the cost is high compared to other floor coverings, as well as the complexity of such an operation as complete dismantling. For many, it is not even a minus, so these floors are in great demand. What is needed to create a self-leveling floor? Mix for preparation of solution of a polymeric floor, a finishing covering, solvent. Punch or door with low speed mode, nozzle for mixing liquid solutions. The capacity of sufficient volume for mixing the components of the polymer floor - powder, water. The spatula is usually a needle roller - the last tool is needed to remove air bubbles. Paint boots, work clothes, face mask for respiratory protection from powder mixtures. Do not forget to prepare the primer, which is necessary for the preparation. When everything is ready to work, you can proceed. In order to lay the floor lay down as evenly as possible and not deform during operation, it is necessary to carefully prepare the concrete base for it. 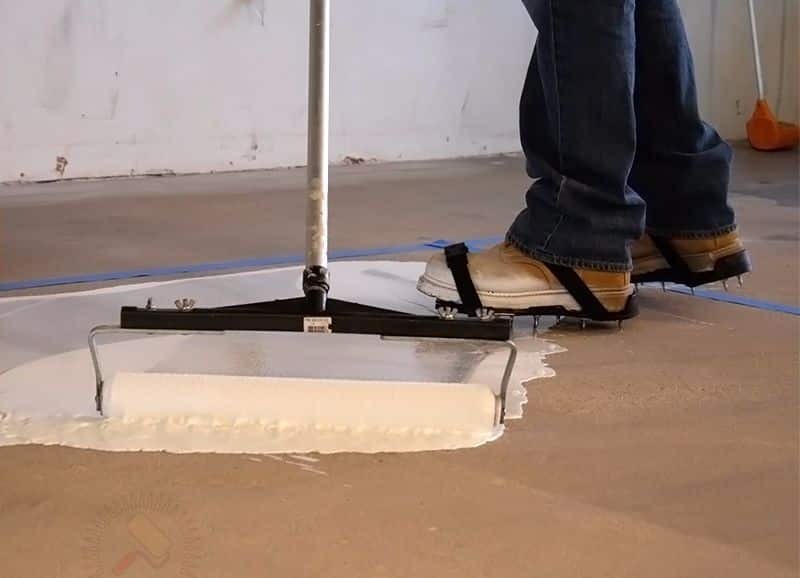 To do this, you should disassemble the old flooring and screed on it, then clean the surface from debris and dust (it is recommended to vacuum). Next, you need to carefully inspect the coating for the presence of cracks - if any, they should be filled with epoxy or cement mixture. After that, it is necessary to prime the coating with two layers of primer. The second layer should be applied only after complete drying of the first layer. When the second layer dries, the floor is laid. Mark on the walls around the floor level to which you plan to pour a mixture of polymer floor. After that, install the beacons at a distance of one meter from each other, check the correctness of their position using the construction level. After that, prepare the mixture for the polymer floor strictly according to the instructions - mix the components in a container prepared in advance and bring the solution to a homogeneous state using a drill or a perforator with a special nozzle. Start using the mixture immediately after preparation. Gently pour the polymer solution on the base and form the thickness of the first layer, smoothing the composition with rollers or a spatula. Wait until the first layer is completely dry, then proceed to the formation of subsequent layers. The final finish is formed. Do not forget to immediately remove the air bubbles on the floor surface with a needle roller. It's all! After 6-12 hours after the finish has dried, you can start using the floor. Full readiness for operation comes about a week after the formation of the coating. It is recommended to keep the doors and windows in the room open so that the air flow will contribute to the freezing of polymers. Bulk polymeric floors in the apartment - what is it and how is it done? 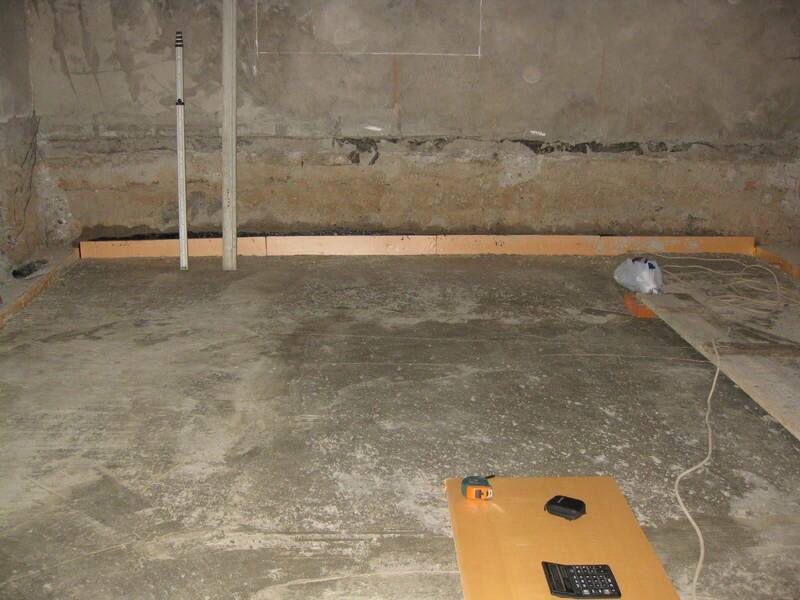 Wooden self-leveling floor - what is technology and why is it so popular? Why order from masters, if the article describes how to make such a floor by yourself? Thus it will be available and you can not limit your imagination. I am very interested in this topic, because in the corridor the pipes from the kitchen pass, the parquet has shrunk all over. But the self-leveling floor must stand the test of floods from neighbors. That's just because of inexperience, I'm afraid to do something wrong, not a builder after all. Therefore, the question arises: can it be removed or somehow altered, if it turns out unevenly? Of course, it looks very cool, but such beauty is worth it, if you order from masters up to 2400 rub per square meter, but if done, then externally, just go nuts. My friend made such a floor in the bath, or rather in the waiting room, put a turtle in it and poured it on top, it looks as if the turtle is swimming in the water underfoot, in general this is poorly said. Yes, and the durability of such a floor is high.